More than one billion people are living without shelter across the globe. New Story — a nonprofit building homes in the developing world — is reminded of this problem every day. When you consider the cost and time it takes to build homes, this problem isn’t just daunting — it’s insurmountable. But 3D printing could be the silver bullet. ICON, a construction technologies company, designed a 3D printer to produce homes. 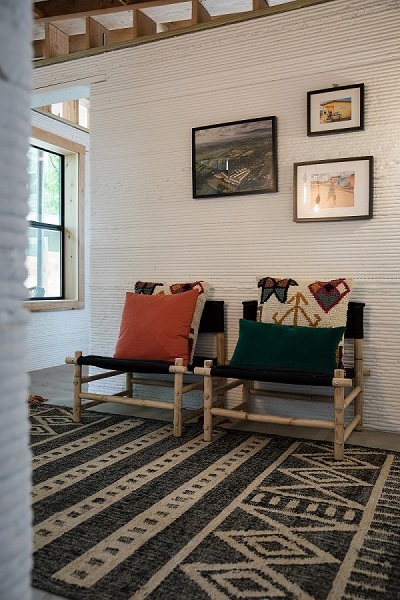 A single-story home, with a total footprint measuring 600 to 800 square feet, can be printed in underserved communities in less than 24 hours. 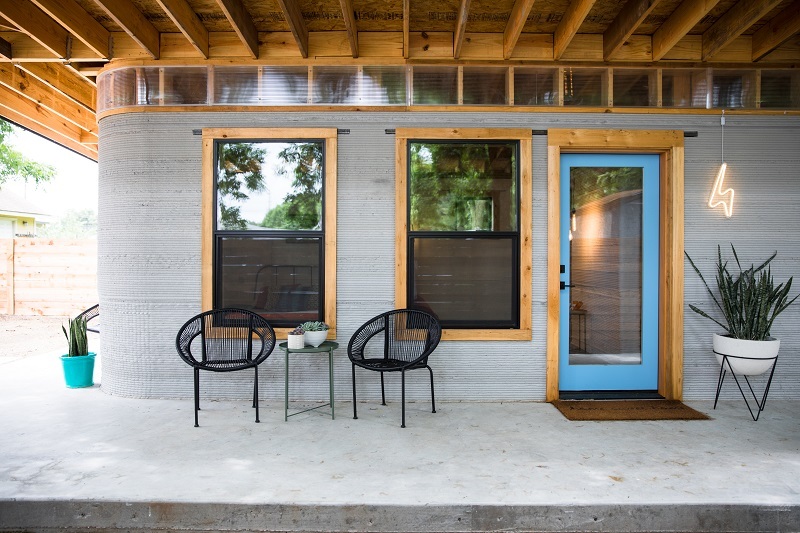 “3D printing can deliver a house — and I mean fully deliver ready to move in — for about 30 percent less than conventional building,” explains Jason Ballard, ICON’s CEO and cofounder. About a year ago, New Story and ICON partnered to print 100 homes in El Salvador. To test the technology, they printed a prototype in Austin, TX this March. 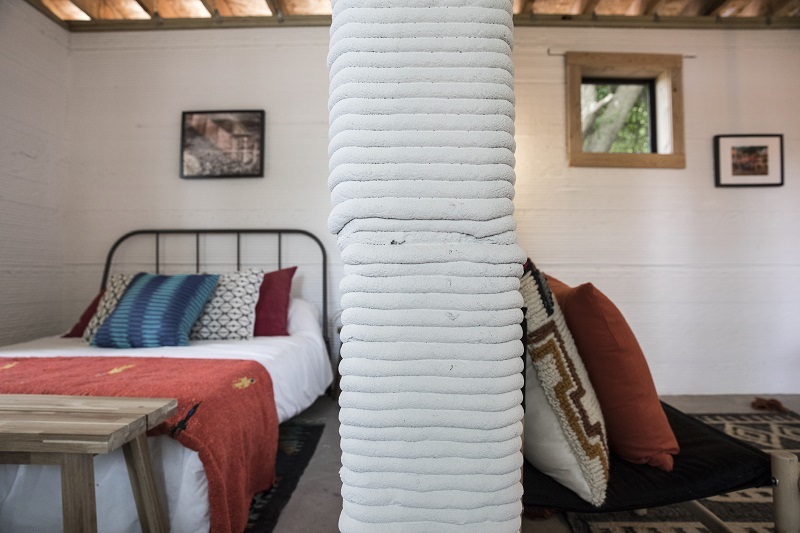 It’s the first site-printed, permitted 3D-printed home in the U.S. The prototype shows off what the technology can do — like printing curved walls and a sloped roof as easily as straight lines. 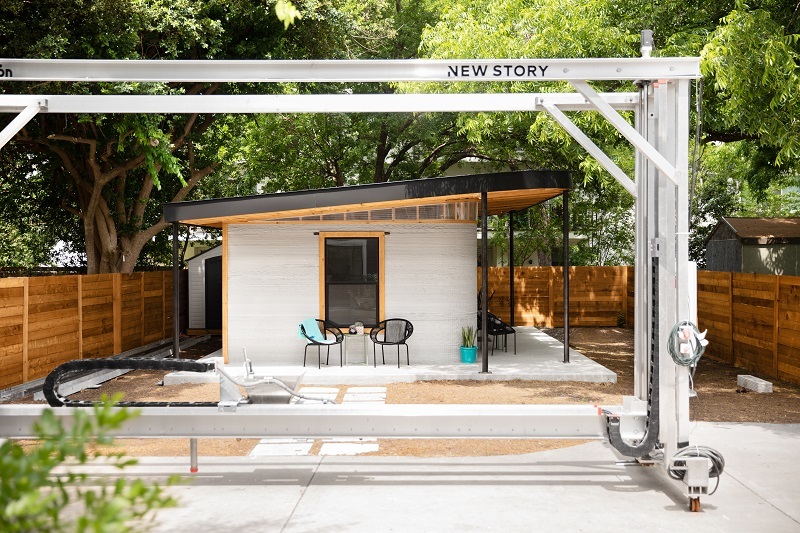 The Austin home was printed in 47 hours, with the machine at quarter speed. ICON expects homes to be printed in 11 to 12 hours at full speed. The prototype was printed to last in a developing country, not just Texas. 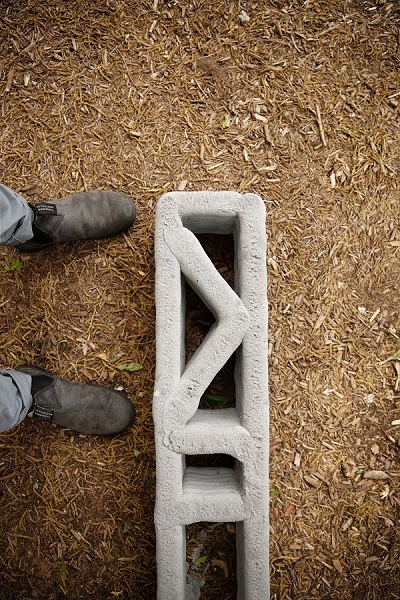 Made of concrete, it’s strong and cool enough to withstand extreme temperatures, hurricanes and even earthquakes. Bonus: Printing homes produces zero waste. “We wanted to make this feel like the kind of house you could feel proud to live in,” Ballard adds. 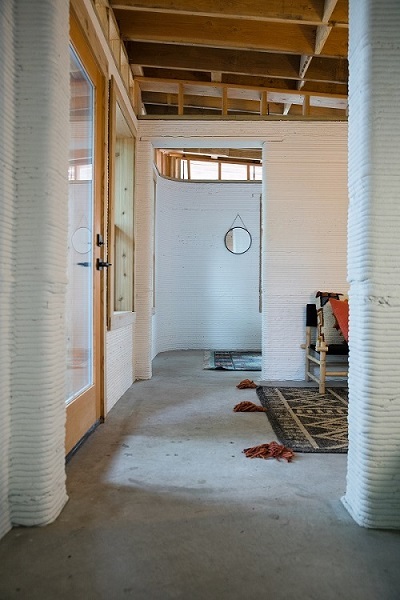 Knowing concrete can feel stark and uninviting, they planned the design to incorporate lots of natural light. The windows, roof and doors were added after the printing was complete. 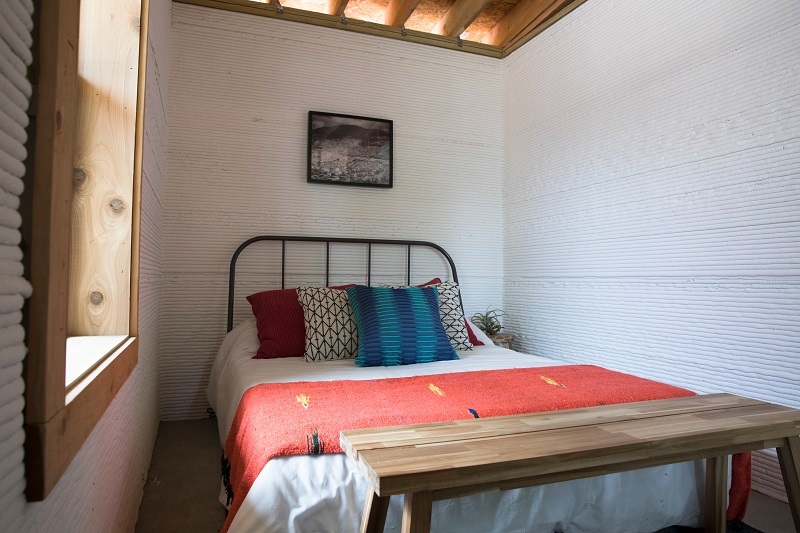 While the homes in El Salvador will be similar in size to the prototype, each design will be custom. New Story hosts workshops in each country they serve, asking families what they want in their future homes. Each home will have 1 to 2 bedrooms, a bathroom with a shower and toilet, and a living room. The rest is up for debate. “It’s about shelter, but it’s also about dignity, respect and ownership of your home,” Hagler adds. If the printing goes well, more communities will follow.